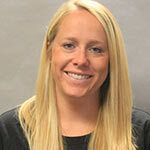 Callie is the Head Coach at Clark University in Worcester. Lekas spent five seasons as an assistant with Wellelsey, including the last four seasons as the top assistant with the Blue, helping guide them to three consecutive trips to the NCAA Tournament Elite Eight. Along the way Wellesley has also had tremendous success in the NEWMAC, having gone 29-3 against league foes, including a 22-game regular season conference winning streak that spanned part of four seasons. Wellesley also won a pair of NEWMAC Championships (2013, 2014) and set a program record for wins in a single season (19) in 2014 with Lekas on the sidelines. 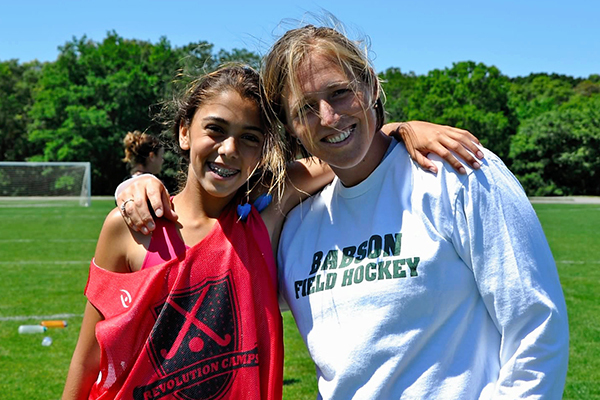 In addition to her four-year stretch with Wellesley, Lekas spent one year as an assistant at Amherst College in 2011 helping lead the Lord Jeffs to a 15-4 mark and the NCAA Tournament Elite Eight. Lekas was a standout student-athlete with the Blue, earning First-Team All-NEWMAC honors on three occasions (2007, 2008, 2009) as well as First-Team All-Region by the National Field Hockey Coaches Association (2007, 2008, 2009). During her four years, she helped lead Wellesley to 53 wins, a trip to the NCAA Tournament Sweet 16 and two other berths in the NEWMAC Championship game (2007, 2008). Lekas appeared in all 78 games of her career, finishing with 57 goals and 22 assists, good for 136 career points. One of her signature moments came in the 2007 NEWMAC Tournament Semifinals when she scored the game-winning goal in overtime, lifting the Blue to a 1-0 win over Wheaton and into the league title game. 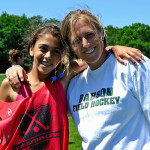 Age & Ability: Day camp is open to ages 7-18 of all ability levels. Half-Day camp is open to ages 5-9. Our coach was tough, but she made us laugh too! It was perfect, just enough to make us try harder and feel good about the effort we made. I’ve kept in touch with a few of the girls I trained with and we’re real good friends now. Even though we live across the country, we send emails and texts almost every day.